Over the past few months I’ve been on a few of these programs. The most recent was last week when I was stopped in the street whilst doing a GPS run for another TV show. Cold, wet and tired in the winter rain, I was asked to comment on some of the top news stories of 2014… I just hope they choose not to use that footage! 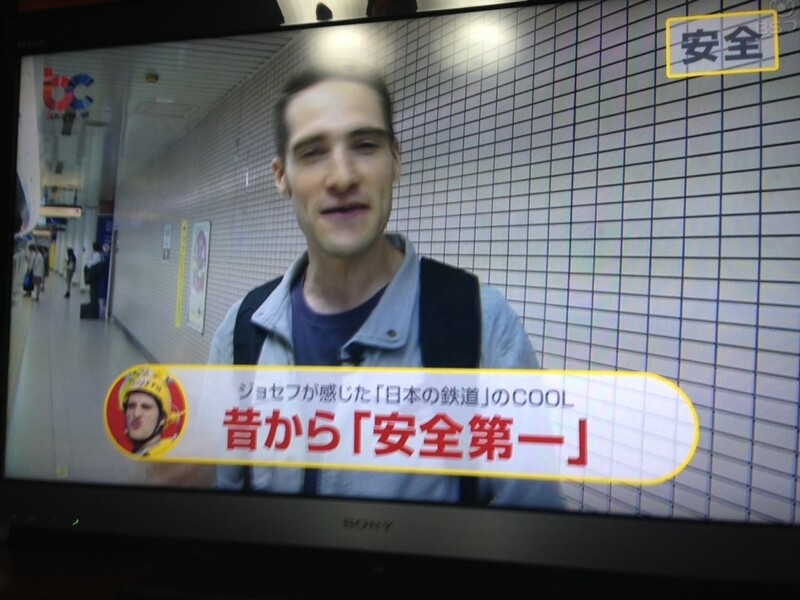 Anyway, Birth of the Cool is a monthly BS Fuji TV program focused on the ‘Cool Japan’ brand, a concept first devised 13 years ago to express Japan’s emergence as a cultural superpower. With the Tokyo 2020 Olympics and Paralympics now just 5 years away, government bodies and marketing departments across the country are once again asking themselves (and others) what ‘cool Japan’ is, and how can it be leveraged to help meet the target of 2 million foreign visitors by 2020. It’s against this backdrop that the program Birth of the Cool highlights various aspects of Japan that might fall into this category, including many that may not traditionally be considered ‘cool’. 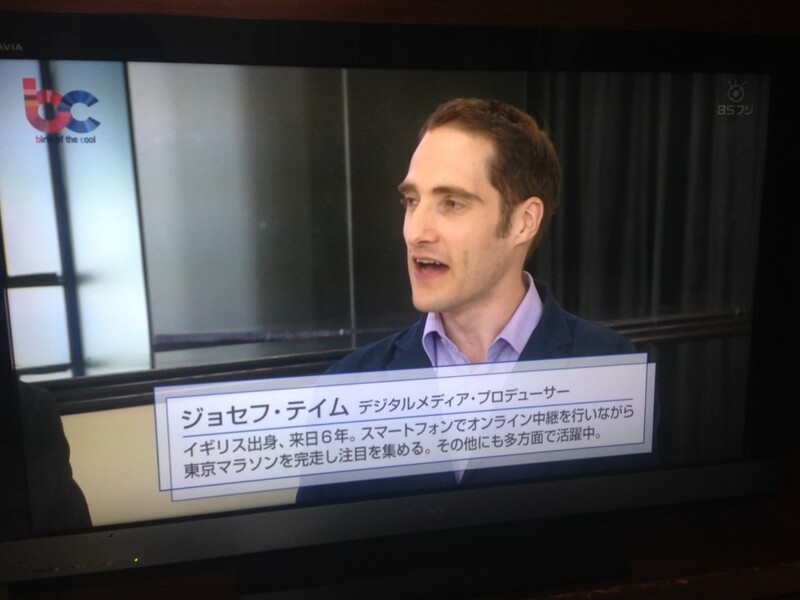 The topic for the show that I appeared on as the foreign commentator fell into this category: ‘The Japanese rail industry’. Rather than being ‘cool’ as such, the appeal point is more the fact that Japan’s rail sector is one of the most advanced, with clean, fast, efficient trains transporting millions on a daily basis, with an excellent safety record. When Japan does win overseas contracts (such as the Javelin trains that were introduced to London for the 2012 Olympics, manufactured by Hitachi) they often deliver ahead of schedule. However, during the show, both the JETRO representative and the member of staff from an industry organisation shared how Japan falls down when it comes to marketing services, failing to adequately communicate the benefits, and not offering package-deals due to the large number of vendors involved in providing rail infrastructure. For my part, I offered some reflections on my experience of using Japanese trains (all very positive), contrasting this with my memories of UK trains (which although based on my experience several years ago seems to still be valid, if the major delays over Christmas 2014 are anything to go by!). I also shot a VTR at Ikebukuro station prior to the studio filming, which was used as an introduction to my section. This was my first ‘serious’ studio shoot (in Japanese) in normal clothes, and I must admit I was pretty nervous going in. As it was, it all went smoothly (putting aside the silly language mistakes…!) and I needn’t have worried.